Museo Nacional de Bellas Artes (MNBA): Set in the heart of Recoleta, the National Fine Arts Museum has 10,000 art pieces by renown national and international artists such as Quinquela Martín, Pettorutti, Prilidiano Pueyrredón, Antonio Berni, Goya, Picasso, Rembrandt, Rubens, Renoir, Degas, Chagall and Modigliani amongst many others. Av. Del Libertador 1473, Recoleta. 5288-9900 . Tuesday to Friday: 12.30 – 8.30 p.m.
Saturday and Sunday: 9.30 a.m. – 8.30 p.m.
Museo de Arte Latino Americano de Buenos Aires (MALBA): The MALBA is set in a modern building and showcases an impressive collection of Latin-American art from the twentieth century. The museum, which has become one of the most popular cultural centers in the city, offers a unique collection of sculptures, drawings, paintings, collage, photographs and objects by artists from Central and South America. The museum also hosts film screenings and interesting exhibitions and conferences and has a highly recommendable restaurant. Avenida Figueroa Alcorta 3415, Recoleta. 4808-6500. 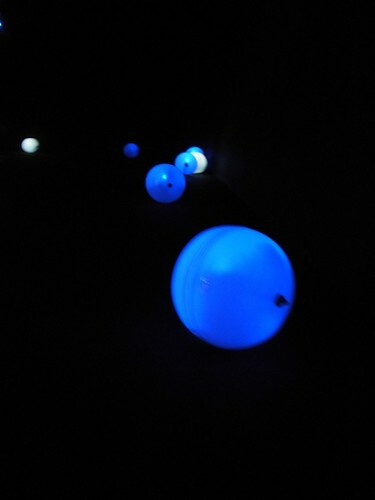 Museo de Arte Moderno de Buenos Aires (MAMBA): Lovers of modern art are now welcome to visit the recently re-inaugurated MAMBA. 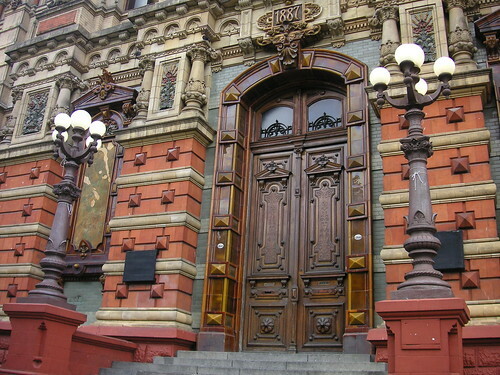 The museum, located in the neighborhood of San Telmo, is made up of two exhibition halls with two different collections. “Narrativas Inciertas” is an assembly of pieces by contemporary and up-and-coming local artists. Whilst “El imaginario de Ignacio Pirovano” displays a donated collection which includes both local and international modern art. Av. San Juan 350, San Telmo. 4342-3001/2970. Saturdays and Sundays from 11.00am to 8.00pm. Museo de Arte Hispanoamericano Isaac Fernandez Blanco: Set in the neo-colonial Palacio Noel, the focus of this museum is Hispanic-American art. An impressive display of antique and religious objects, furniture, silver, and paintings dating back to the 1700´s depict a key historic moment where two very different cultures collided to define what South America is today. The museum also hosts concerts, special exhibits and other cultural events. Suipacha 1422, Downtown. 4327.0272. Saturday and Sunday from 12am-6pm. English tours must be booked in advance. Museo de Arte Español Enrique Larreta: This Spanish Art Museum, decorated as a Spanish renaissance palace and surrounded by a unique Spanish Muslim garden, was the home of author Enrique Larreta. His extensive collection of sculptures, paintings and furniture mostly from the Renaissance and Baroque periods can be appreciated in this ornamented historical landmark. Juramento 2291, Belgrano, 4784-4040. Museo de Esculturas Luis Perlotti: Luis Perlotti was a distinguished Argentine sculptor who dealt with native themes and indigenous imagery, as well as producing sculptures and monuments of local characters of the artistic and political scene. 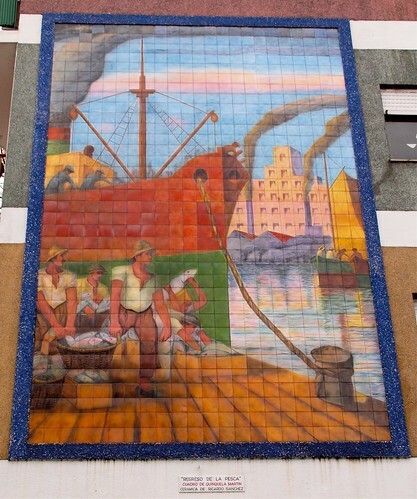 In 1969 he donated his house and workshop in Caballito for its use as a museum. 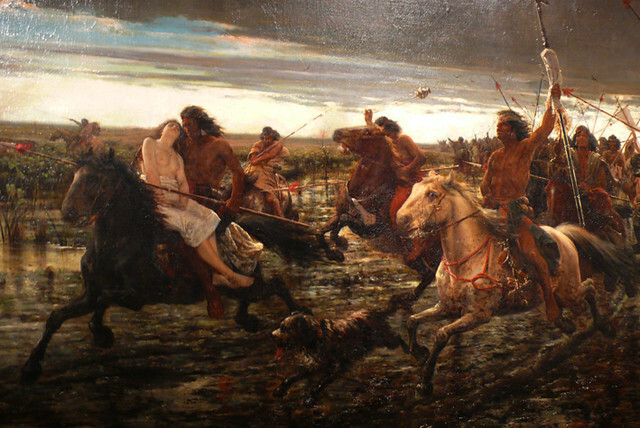 The museum showcases an ample selection of his works as well as displaying sculptures by other renowned Argentine artists. Additionally the museum showcases the late sculptors collections of native textiles and archeological objects acquired on his journeys through Argentina, Bolivia and Peru. 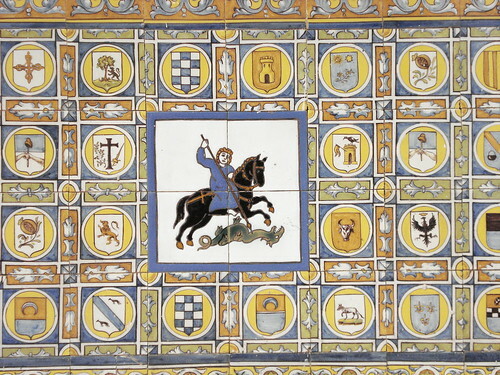 Pujol 644, Caballito. 4433-3396. Museo de Bellas Artes Benito Quinquela Martín: An impressive collection of Argentine art can be appreciated in this museum set in the heart of La Boca, where its famous resident artist Quinquela Martín donated much of his work in support of the local art industry, and of the education of children through art. Av. Pedro de Mendoza 1835, La Boca. 4301-1080. Museo de Xul Solar: This lovely intimate art museum exhibits artists Xul Solar´s colorful metaphysical dreamlike paintings, and also some of his nutty but brilliant inventions, such as a new global language, and the Panjuego, a game which he made up and played with many of his friends including Borges whose books he sometimes illustrated. Laprida 1212, Palermo. 4824-3302. Monday to Friday from midday- 8pm. Saturday from midday to 7pm. A special exhibit of renowned artist Quinquela Martin´s drawings is being showcased at the Museo de Bellas Artes de la Boca. For dinner head to one of the city’s Italian restaurants (we suggest Doppio Zero) and order a plate of gnocchi. Local tradition says that on the 29th of every month money must be placed under a plate of gnocchi in order to increase fortune! Aiming to promote the urban art scene in Buenos Aires Graffitimundo offers an off the beaten path tour of the city streets. Group tours are offered every Wednesday, Friday and Saturday starting at 3pm for those interested in learning more about the local street art and the political and social context that is behind it. 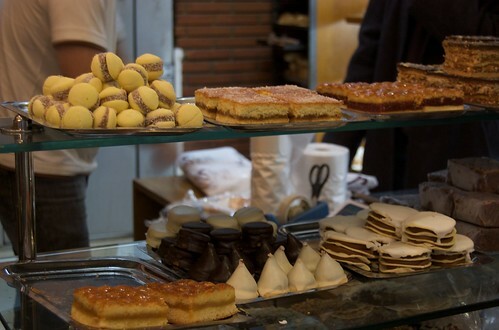 This is a great option to get to know another side of Buenos Aires. More information on meeting points and prices here. In the evening head to the Abasto neighborhood for a taste of tango presented by the Orquesta Típica Fernandez Fierro at the Club Atletico Fernández Fierro starting at 10pm. If your planning to visit the city center to see the obelisco, or to take a tour of the Colón Theatre, head to the Palacio de Aguas Corrientes (palace of running waters) on Cordoba Avenue and Riobamba first. Originally built as a disguise for a water tower meant to provide clean drinking water to the people after the 1877 outbreak of yellow fever, the stunning palace now works as Aguas Argentinas (the local water company) headquarters and also as a museum. Book your place for the Fierro Hotel’s Thursday wine tasting and sample some great Argentine wines, chosen by the president of the Argentine Sommelier Association Andres Rosberg and in-house Sommelier Martin Bruno. Tastings cost 25 USD per person and are limited to 7 people. 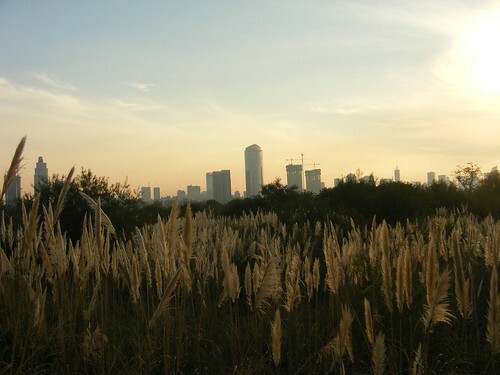 Take a walk down Puerto Madero to the ecological reserve where you can get the best view of the city and see some of the local flora and fauna! In the evening join the BA Palermo Pub Crawl and get to know other travelers and the Buenos Aires nightlife. The pub crawl includes pizza, beer and wine from 10-11pm, complimentary shooters at 3 bars, drink discounts, and a club admission to Crobar, for a total of 100pesos. The night begins at Kuantum, in Palermo at 10pm. Those who have taken a liking to the local pastries may have noticed that many come with a filling of Quince Jam (Membrillo). This fruit preserve, which was brought to Argentina by the Spaniards, is very popular in local sweets and deserts, including the aforementioned pastries, quince pies and combined with cheese for the typical “queso y dulce” desert. Allthough it is definitely not as popular as dulce de leche, the crimson sweet tart jam with a grainy texture is the favorite of those who prefer something less sugary and rich. We suggest you try it and if you like it you can take this recipe back home with you as a souvenir. 1- Boil the quince with the skin on for ten minutes. 2- Rinse and peel the quince, halve and discard the seeds. 3- Process the quince pulp in a food processor or blender. 4- Place the blended quince in a pot and add ¾ cups of sugar for every cup of quince. 5- Cook on very low heat whilst stirring with a wooden spoon for 30-45 minutes or until the quince pulls away from the pot. 6- Pour the quince jam into a wet tube pan and cool. 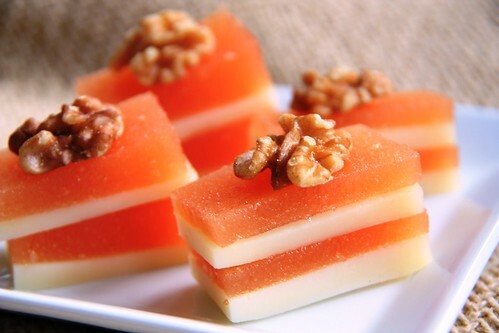 8- Serve a slice of quince jam with a slice of cheese or keep in the refrigerator. 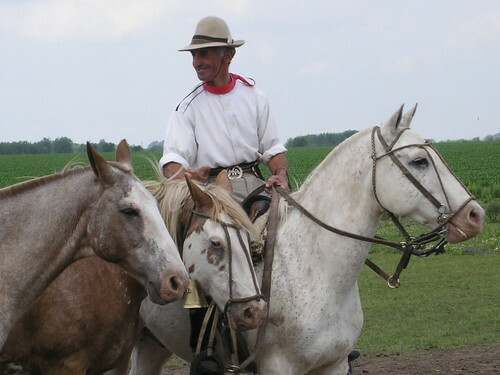 The gaucho is one of the few local characters which the national culture has adopted as truly Argentine. Allthough the origins of these nomadic cattle herders is ambiguous it is generally accepted that they appeared after colonization as the offspring of Natives with Europeans. A few things characterized this new generation of locals; one was their skill riding horses and handling cattle, another was their nomadic nature. They were also proficient with knives, boleadoras and guitars and many of them were payadores, which means they recited poetic stories about their lives to the strum of the guitar. It is the gauchesque payadas that led to the posterior gauchesque literature that was key to transforming the Gaucho into an emblematic national character. The image of the gaucho was not always positive. For a long time they were considered to be outlaws and rebels, and as social castaways they were readily sent to fight the civil wars. Once the wars were over, there was no place in society for gauchos, so they were culturally resignified. The parallel influx of immigrants to the city had created a need for a national identity, and for the countryside to become appealing as it was the land that needed to be populated. Amidst this context, gauchesque literature, which portrayed the life, tradition and used the language of the gauchos, found its perfect place. From then on, through the local literature of emblematic authors such as José Hernandez who wrote the famous Martín Fierro, Leopoldo Lugones who wrote La Guerra Gaucha and Ricardo Güiraldes, who wrote Don Segundo Sombra, amongst others, the gaucho acquired a mythical place in society. Popular literary adaptations to film were also made from gauchesque novels, completing the insertion of this rustic character into the Argentine culture. 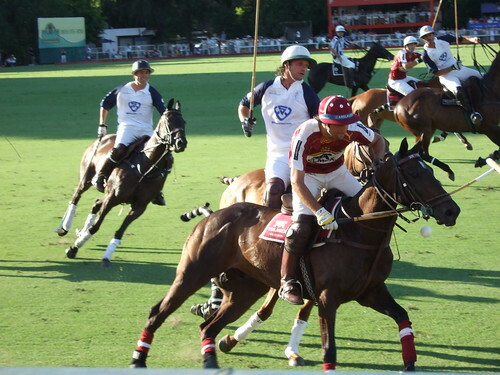 Some noticeable examples are Juan Moreira adapted to film by Leonardo Fabio, Los Hijos de Fierro, which makes a parallelism between Peron and Martin Fierro, by Pino Solanas and Don Facundo Sombra adapted to film by Manuel Antín. 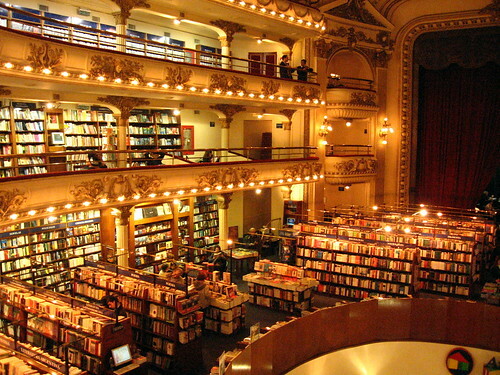 Buenos Aires is known for its literature and avid readers. Anyone who has walked the streets or traveled in the public transport system will readily agree that the city is full of bookshops and bookworms which is why it’s no surprise that it was picked as the 2011 book capital of the world. Naturally, it is also a great place to buy books. 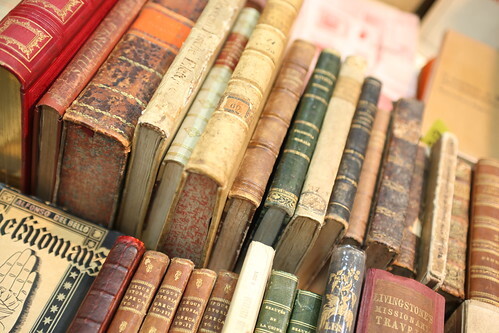 Those looking for rare finds, first editions, and foreign language books should stop by the bookstores on Avenida Corrientes and Avenida de Mayo.The Plaza Italia book fair is also a good place to find unusual picks at an extra good price as everything they sell is second hand, whilst antique books can be found mostly in San Telmo. Ateneo Grand Splendid: This impressive bookstore is considered to be one of the most beautiful in the world. Set in what was once the Grand Splendid Theatre, and conserving its grandiose architecture whilst adapting its function to a bookstore, it is one of the city jewels. The balconies, the original velvet curtains, and the cupola, on which an allegoric representation of peace was painted after world war one, can all be enjoyed whilst browsing for books or having something to eat on the once stage. Libreria del Pasaje: This bookstore, record store and bar in Palermo offers a great selection of books, advice on what to buy, and a relaxing modern environment in which to sit and read. Additionally they have a lot of cultural events including photography and art exhibits and activities for children. Eterna Cadencia: Warm lighting, dark wooden furniture and a extensive selection of books can be found in this bookstore and publishing house. The spacious cafe is a great place to sit and read or even to just stop by for a coffee break. Buenos Aires Local Tours are free tours of Palermo, Abasto, Congreso and Plaza de Mayo and are a great way to get to know the city and the public transport system! Jonathan, the friendly Englishman in charge, takes visitors to both city landmarks and to lesser-known charmers which are often overlooked with the purpose of showing the unseen side of the city. The tour is by foot, public bus and subway so some coins are needed but other than that there is no cost (allthough a well deserved tip is welcome). The meeting point is the Garibaldi Statue in Plaza Italia at 11 am on Mondays through Saturdays. Start the week by browsing books and sitting down for a read over coffee at the stunning Ateneo Grand Splendid. The impressive bookstore is considered to be one of the most beautiful in the world. In the evening don’t miss out on La Bomba del Tiempo, a percussion orchestra that has become one of the local absolute musts. For some great post dancing pizza, head to nearby Los Cocos and order a fugazetta pizza, an onion and mozzarella local specialty. Head to the Museo de Arte Hispano Americano where an impressive display of antique and religious objects, furniture, silver, and paintings dating back to the 1700´s are sure to take you back to a key historic moment where two very different cultures collided to define what South America is today. The museum will also be showcasing a special exhibit of renowned photographer Franz Mayer’s work. Live jazz and tarot readings will be held at Centro Cultural Matienzo staring 6pm. Head to the Carlos Gardel Museum to see the special exhibit on Tita Merello, a famous Argentine actress and singer. In the evening Manu Chao will be playing at Estadio Malvinas Argentinas. Tickets available here. The Cultura y Media 6 festival kicks of on Thursday and runs through to Saturday showcasing visual art work and mixed media which incorporates new technology and interesting ways of rethinking culture. Check out the full program here. Take a day trip to the local bakery, butcher shop and market where Teresita will show you all the traditional foods and ingredients. Afterwards go back to her home and learnt to make empanadas before having a delicious gourmet 4-course meal with wine pairings! More on Teresita’s culinary tour here. In the evening head to the Teatro Verdi to participate in the great milonga that will be held as part of the Festival de Tango de La Boca! (make sure to arrange for transport to and from the location with the Hotel as La Boca is dodgy at night). Almirante Brown 763, La Boca. The IV Festival de Musica de la Revolucion Mejicana will be held at the Palermo Rosedal this Saturday starting at midday and offering a variety of activities related to the Mexican revolution including live music and a food and culture fair. Av. Alcorta and Sarmiento.